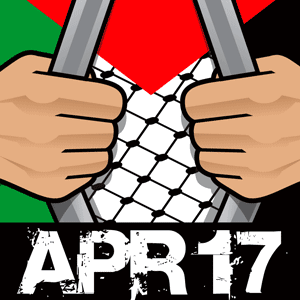 On Palestinian Prisoner's Day: solidarity with hunger strikers, boycott HP & G4S! Today, on Palestinian Prisoners’ Day, the Palestinian BDS National Committee (BNC), the largest coalition in Palestinian society, stands with the over 1000 Palestinians in Israeli prisons and detention centers who have committed to a hunger strike to protest Israel’s grave and ongoing violations of Palestinian human rights. We call for escalating BDS campaigns to isolate Israel’s regime of oppression and to pressure corporations that are deeply involved in Israel’s violations of our prisoners’ human rights, especially G4S and Hewlett Packard (HP). The striking Palestinian political prisoners demand an end to Israel’s well-documented practice of prisoner abuse, solitary confinement, torture, medical negligence and denial of rights guaranteed under international law—including the right to a fair trial and visitation by family and loved ones. Palestinian prisoners include men, women and hundreds of children. They include parliamentarians, student activists, human rights defenders, academics, journalists and many bystanders. Israel has for decades used incarceration in an attempt to suppress Palestinian popular resistance to its military occupation, settler-colonialism and apartheid, and to extinguish Palestinian hopes for a life of freedom, justice and dignity. The Palestinian BDS National Committee (BNC), fully supports the hunger strikers’ courageous fight for their rights and dignity. We call on people of conscience around the world to further grow BDS campaigns against Israel’s regime of injustice and to escalate boycotts specifically against Hewlett-Packard (HP) and G4S, companies complicit in Israel’s brutal system of incarceration and abuse of Palestinian political prisoners. The leadership of the Palestinian prisoners' movement has written to the BNC to reaffirm their support for the BDS movement and to urge us all to intensify our campaigns against G4S and other companies that profit from Israel’s violations of Palestinian human rights. Our campaigns against HP and G4S have already yielded inspiring results. Aside from providing services to the Israeli occupation army and biometric technology that enables Israel to control and enforce its system of racial segregation and apartheid against Palestinians, HP is deeply complicit in technologically enabling the torture-laden Israeli prison system. Several US churches have already divested from HP, and the campaign against the company has already attracted support from faith communities, student governments and trade unions across the world. Under strong pressure from BDS activists participating in the international Stop G4S campaign, G4S has for the last several years been losing major deals and investments around the world and has suffered what the Financial Times calls, “reputational damage.” In 2016, the company was forced to sell most of its business in Israel, and was forced to stop helping Israel run its abusive prisons. But G4S still has contracts in training Israeli police. As such, it remains complicit in Israeli violations of Palestinian human rights, and today we reaffirm our commitment to keep the pressure on the company until it fully ends its complicity. Over the past 50 years, more than 800,000 Palestinians have been imprisoned or detained by Israel, which means that about 40% of Palestinian men living under military occupation have been deprived of their freedom. Almost every Palestinian family has suffered the imprisonment of a loved one. Currently, Israel imprisons over 6000 Palestinians, including more than 500 “administrative detainees” arrested on “secret evidence” that neither they nor their lawyers are permitted to see or refute in court. These individuals are imprisoned without any charge or trial, and their detention can be indefinitely renewed, in a Kafkaesque system that should shock the conscience of the world. It is against this backdrop and reality that Palestinian prisoners have today launched a mass hunger strike, and Palestinians across major Palestinian cities held rallies supporting the prisoners and their hunger strike. It’s clear that Israel’s policy of mass arrests and violations of the rights of Palestinian political prisoners intends to “bury the legitimate aspirations of an entire nation.” But we know that our collective struggle and the massive international solidarity it inspires, manifested in the BDS movement, are together thwarting Israel’s brutal objective and contributing to the creation of a more beautiful and just world.